Is Cadillac finally getting a worthy rival? Launched in 1986, Acura has come a long way in 30 years, evolving from a small two-car lineup into a full-fledged automaker with no fewer than six offerings in 2017. Acura also entered motorsport very early, hitting the race tracks in 1991, just five years after its launch. So far, it has raced in some of the most important motorsport series, including the SCCA, IMSA GT, and the American Le Mans, scoring class wins at Daytona and Sebring. 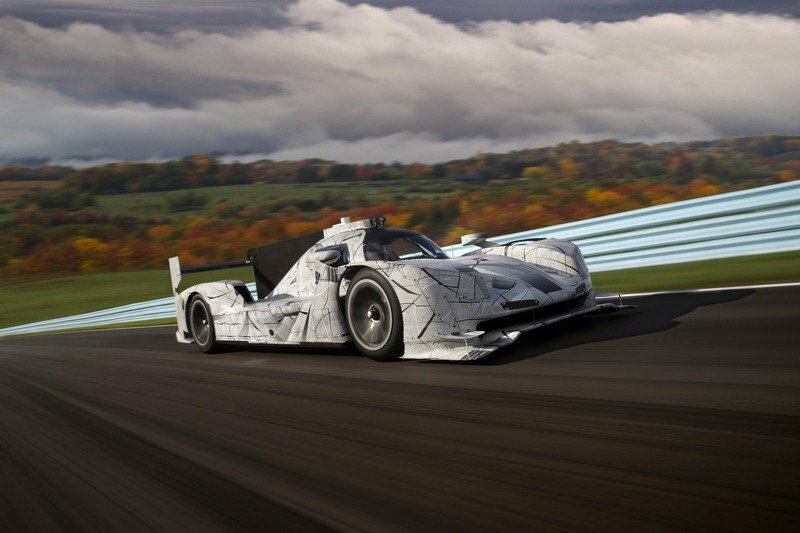 In 2009, the brand produced its very first LMP1 prototype car, the Acura ARX-02a. Come 2017, and the Japanese firm is joining the IMSA SportsCar Championship with its latest DPi prototype, the ARX-05. Developed for the 2018 season, the ARX-05 will join the top tier of the WeatherTech SportsCar Championship, where it will go against Cadillac, Mazda, Ligier, and Nissan. A new team will bring together Acura Motorsports and Team Penske in an effort to win the championship against Cadillac, which has dominated the 2017 season. The multi-year DPi program will be headed by Honda Performance Development (HPD), the racing arm for both Acura Motorsports and Honda Racing in North America. The ARX-05’s official debut will take place at the season-opening Rolex 24 Hours of Daytona in January 2018. Continue reading to learn more about the Acura ARX-05 DPi. Much like every prototype in this class, the ARX-05 combines a Le Mans-type body configuration with production features. Much like every prototype in this class, the ARX-05 combines a Le Mans-type body configuration with specific features borrowed from production models. The latter don’t do much to change the car’s typical LMP1 appearance, but they do make the ARX-05 somewhat recognizable as an Acura. 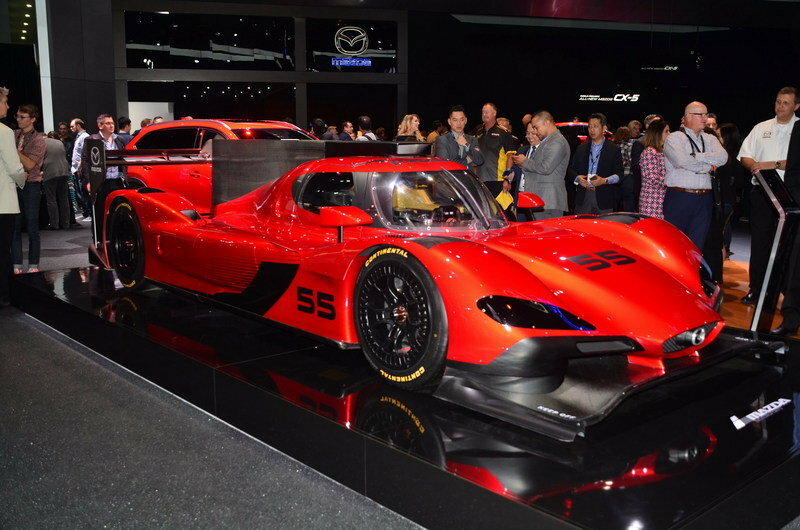 Compared to DPi cars from Cadillac and Mazda, the ARX-05 stands out by means of a "floating" nose and headlamps element that allows air to flow above the splitter and through both sides of the V-shaped front hood. 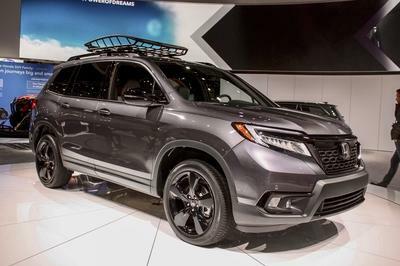 The headlamps remind me a bit of production Acura models due to their small, rectangular LED lights, but the layout is definitely unique. Shaped like a boomerang, they feature six rectangular LED lights on the inner edge, while an L-shaped LED stripe marks the outer and lower extremities. The ARX-05 stands out by means of a "floating" nose and headlamps element that allows air to flow above the splitter. And that’s all when it comes to unique features. The aggressive splitter, big canards, and louvers on top of the wheel arches are as familiar as they get on DPi and Le Mans prototypes. The same goes for the profile, which showcases the canopy-style cabin, big side pods, and the massive fin that bridges the roof scoop and the rear wing. It’s the same story around back, where you can see three main elements: the aerodynamic engine hood, the huge wing, the diffuser, and a bunch of vents on each side of the fascia. I expect things to be rather spartan and packed with an enormous amount of carbon fiber. As usual when it comes to prototype race car interiors, there’s no information as to what’s inside. Unfortunately, there are no pictures either. However, with prototype interiors standardized due to safety and weight regulations, there aren’t many things to talk about. If you’ve seen one, you’ve seen them all. I expect things to be rather spartan and packed with an enormous amount of carbon fiber. The lightweight composite is usually used in the dashboard, which likely features an Alcantara top, but also on the pillars and the roof. Much like all prototypes, the ARX-05 has a simple dashboard with all sorts of switches and knobs, a race-spec driver seat, and a full roll cage. The ARX-05 gets its juice from a twin-turbo, 3.5-liter V-6 based on the J35 family of engines. The ARX-05 gets its juice from a twin-turbo, 3.5-liter V-6 based on the J35 family of engines. 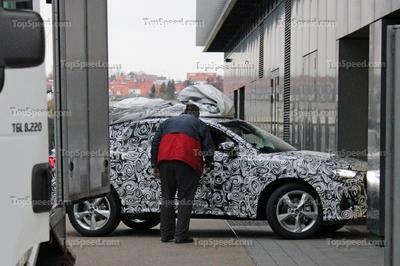 Specifically, this racing engine was developed from the production unit found in the MDX, RDX, TLX, and RLX road cars. Called the AR35TT, this unit has powered class winners at the 12 Hours of Sebring between 2011 and 2014 and the LMP2 World Endurance Championship in 2012. Versions of this engine also powered entries to American Le Mans Series LMP2 titles in 2012 and 2013 and the overall winners at the Rolex 24, 12 Hours of Sebring, and Petit Le Mans in 2016. 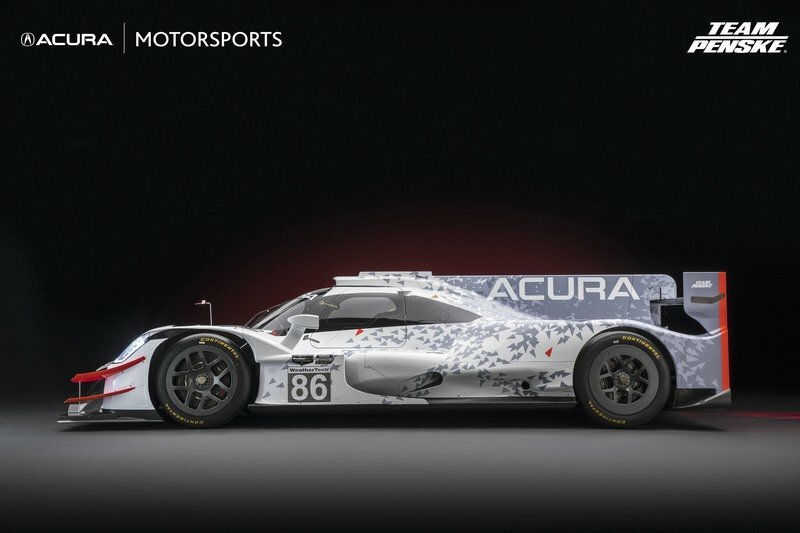 Needless to say, Acura has high hopes for the AR35TT-powered ARX-05. It’s also worth noting that the underpinnings are based on the very successful ORECA 07 chassis. Power travels to the rear wheels through a paddle-shift transmission. There’s no word on performance ratings, but these figures are rarely released to the public. Horsepower figures depend on weight anyway, as current regulations require a certain power-to-weight ratio. The Prototype (DPi) class of the 2017 IMSA SportsCar Championship includes nine teams and 12 different cars, and all of them are expected to race in 2018. Three teams use the already iconic Oreca 07, powered by Gibson 4.2-liter V-8 engines. However, the same unit motivates the Ligier JS P127 of PR1/Mathiasen Motorsports and VisitFloria Racing. 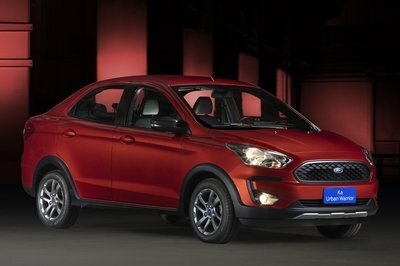 Three mainstream automakers have already joined the division. Tequila Patron ESM races a Nissan, two teams compete with Cadillac DPi cars, while Mazda Motorsports uses the company’s latest RT24-P prototype. The American company introduced the DPi-V.R for the 2017 season and returned to prototype racing after a 14-year hiatus. And boy what a tremendous return it was. 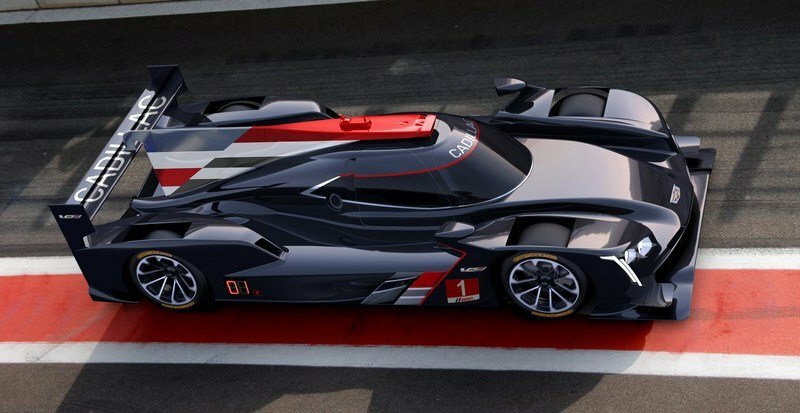 Powered by a race-spec version of GM’s familiar 6.2-liter V-8, the Cadillac DPi has won all races in the IMSA SportsCar Championship as of August 2017 and there’s no doubt that it will win both the drivers’ and manufacturers’ titles this years. The three Caddys are run by Mustang Sampling/Whelen Engineering Racing and Wayne Taylor Racing and are driven by a bunch of well-established racers. The No. 5 car is shared by Joao Barbosa, Christian Fittipaldi, and Filipe Albuquerque, while the No. 31 car is driven by Dane Cameron, Eric Curran, Mike Conway, and Seb Morris. Finally, the No. 10 car is shared by Jordan Taylor, Ricky Taylor, Max Angelelli, Alex Lynn, and former NASCAR star Jeff Gordon. Needless to say, the Cadillac DPi will Acura’s most important rival for the 2018 season. 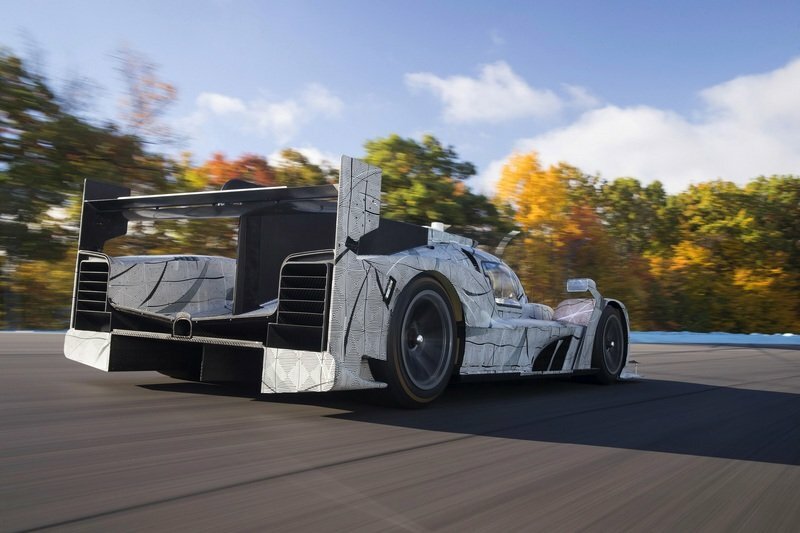 Read our full review of the Cadillac DPi-V.R. 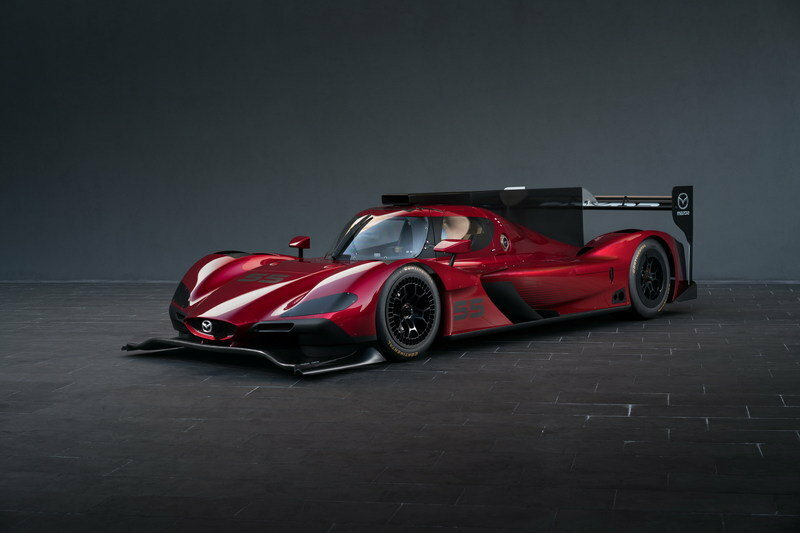 Also developed for the 2017 season, the RT24-P replaced last year Mazda Prototype race car with a redesigned body and new underpinnings. Most of the previous shell has been redesigned to include styling features seen on Mazda road cars, while the old Lola chassis has been ditched in favor of Riley underpinnings. The race car gets its juice from the same 2.0-liter turbo-four engine used in 2016. The unit was developed in collaboration with Advanced Engine Research (AER) and, much like any other engine in the series, it is good for "approximately 600 horsepower." The RT24-P also includes drivetrain and chassis components developed by Multimatic, one of the most coveted motorsport teams responsible for many successful race cars, including the latest, Le Mans-winning Ford GT. Mazda Motorsports runs two cars. The No. 55 is shared by Jonathan Bomarito, Tristan Nunez, and Spencer Pigot, while the No. 70 car is driven by Tom Long, Joel Miller, Jamen Hinchcliffe, and Marino Franchitti. 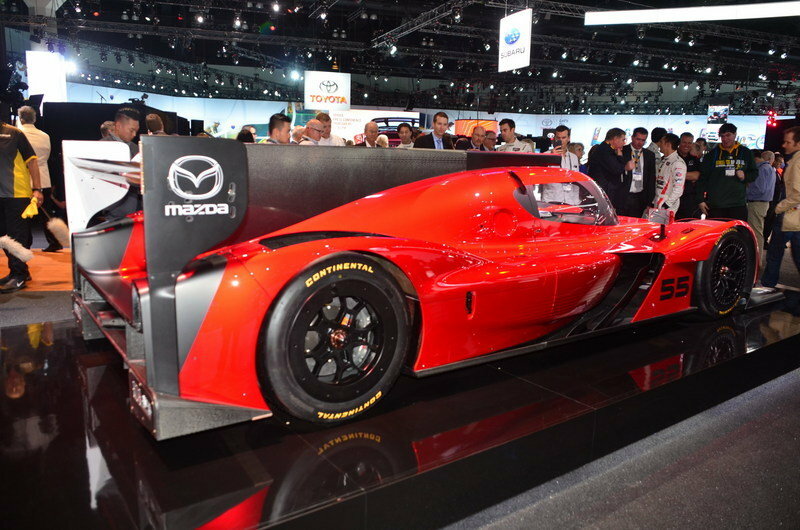 But unlike Cadillac, Mazda has had a poor first season, scoring only a few podiums and no wins in the first seven races. Read our full review of the Mazda RT24-P.
Acura’s return to the IMSA championship is by no means surprising. The Japanese firm is already one of the most experienced brands when it comes to North American motorsport and already runs several entries in various competitions. The ARX-05 is further proof that Acura wants to be more than just a premium division for Honda and a successful IMSA stint could bring new high-performance technology in its road cars, especially the NSX. However, it remains to be seen whether the ARX-05 has what it takes to give the successful Cadillac DPi a run for its money. 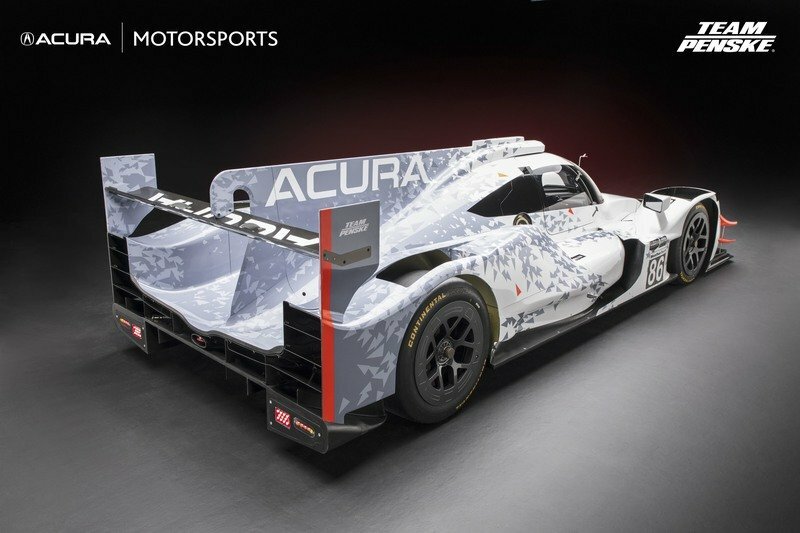 Acura today unveiled the new Acura ARX-05 prototype race car at The Quail, A Motorsports Gathering. Acura Motorsports will join forces with the legendary Team Penske organization to field a pair of the new Daytona Prototype International (DPi) entries in the 2018 IMSA WeatherTech SportsCar Championship. 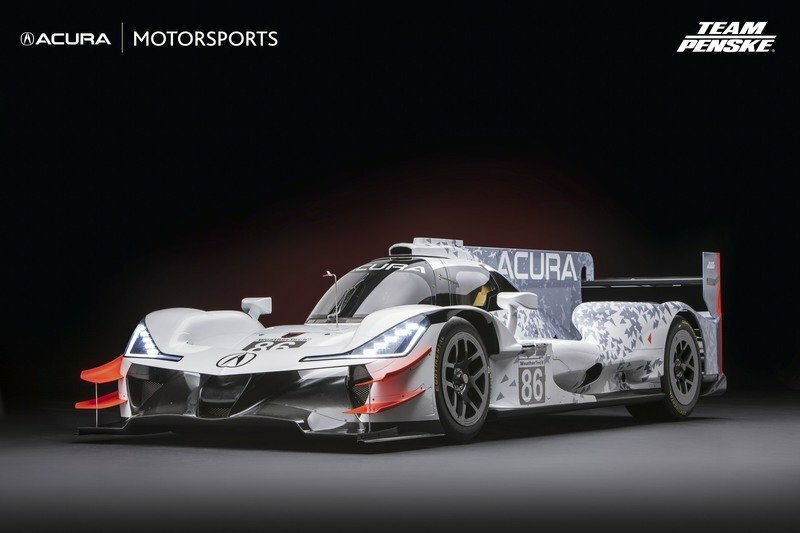 The Acura ARX-05 (Acura Racing eXperimental, generation 5) is the latest in a line of endurance prototypes to be fielded by the brand dating to 1991, just five years after the 1986 launch of the Acura marque. 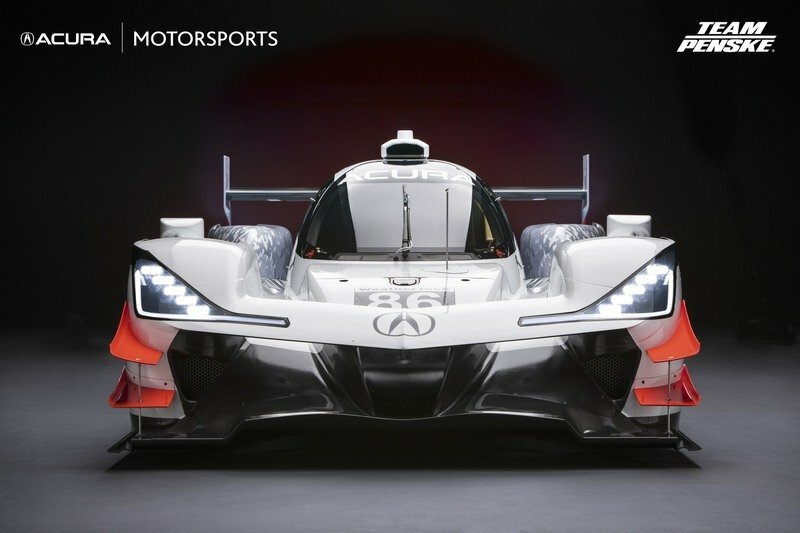 Based on the very successful ORECA 07 chassis, the new ARX-05 prototype showcases Acura-specific bodywork and design features, including Acura’s signature Jewel Eye™ headlights, and utilizes the race-proven AR35TT twin-turbocharged engine, based on the production 3.5-liter V-6 that powers the Acura MDX, RDX, TLX and RLX models. The multi-year DPi program will be administered by Honda Performance Development (HPD), the racing arm for both Acura Motorsports and Honda Racing in North America. The competition debut of the Team Penske Acura prototypes will take place at the season-opening Rolex 24 in January, 2018. One of the team’s two ARX-05 entries will be piloted by the legendary Juan Pablo Montoya along with sports car champion Dane Cameron. The second driver pairing will be announced at a later date. "Right from the start, Acura has raced – and done so successfully,” said Art St. Cyr, President of HPD and Acura Motorsports. "We’ve won with the Acura Integra Type R, the RSX, the first-generation NSX and with the Le Mans prototypes. Most recently, we’ve won with the new Acura NSX GT3. The ARX-05 is our fifth-generation prototype, and we expect great things from our partnership with Team Penske." DPi rules require manufacturers to use one of four approved prototype chassis, fitted with IMSA-homologated, manufacturer-designed and branded bodywork and engines. 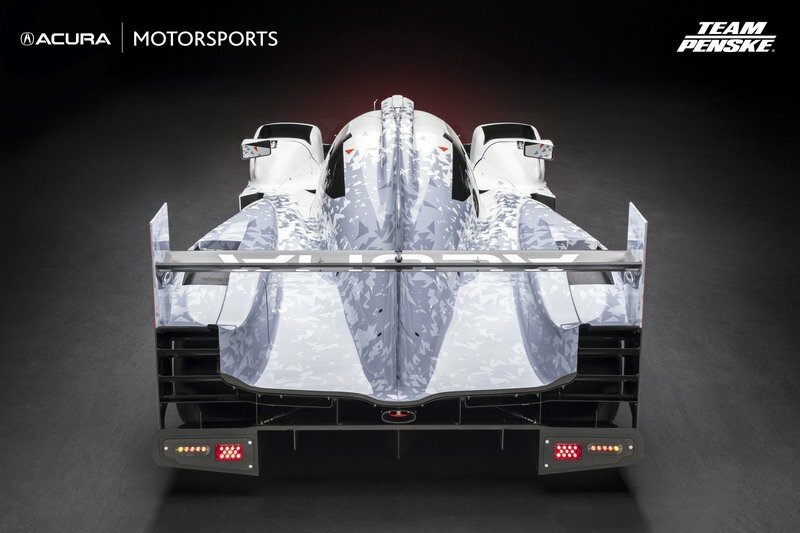 In the case of the ARX-05, the bodywork was developed by a team led by Acura Global Creative Director Dave Marek. "We created a variety of initial sketches, then pared those down a handful of potential designs. Next came aero and wind tunnel model testing, and time for the engineers to have their say,” Marek recounted. 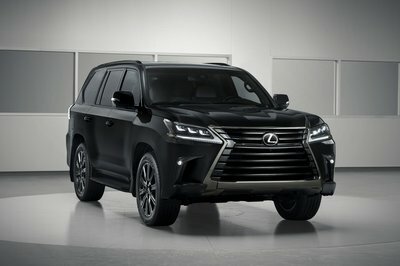 “The design continued to be refined throughout the testing and evaluation process, until we came up with a final treatment that met our performance goals while maintaining Acura styling cues. It’s been an exciting process." The Acura ARX-05 will add to a rich legacy of Acura sports car racing successes, including the 1991-93 IMSA Camel Lights manufacturer and driver championships; 50 IMSA and American Le Mans Series class or overall race victories (through Watkins Glen 2017); and the 2009 American Le Mans Series manufacturer, driver and team championships, in both the LMP1 and LMP2 classes. Based on the “J35” family of engines found in Acura MDX, RDX, TLX and RLX production vehicles, the Acura AR35TT engine has powered class winners at the 12 Hours of Sebring (2011-13); the 24 Hours of Le Mans and LMP2 World Endurance Championship (2012). The engine also powered entries to American Le Mans Series LMP2 titles in 2012-13; and the overall winners at the Rolex 24, 12 Hours of Sebring and Petit Le Mans in 2016. Acura Motorsports currently campaigns the Acura NSX GT3 in the IMSA GTD category with Michael Shank Racing – where it has already won at Detroit and Watkins Glen this season – as well as with Real Time Racing in the Pirelli World Challenge GT division. Following today’s official unveiling, the Acura ARX-05 will also be on display at the Rolex Monterey Motorsports Reunion (August 19) and on the Concept Lawn at the Pebble Beach Concours d’Elegance (August 20).